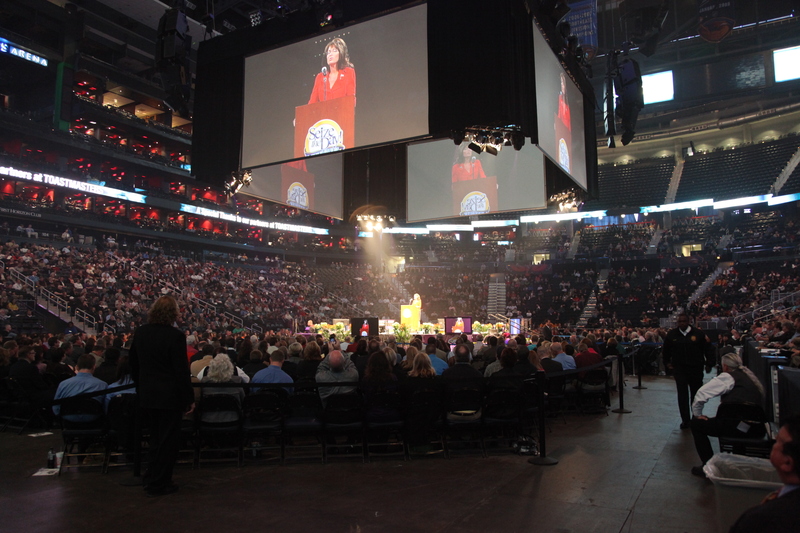 At a recent motivational day produced by Seize the Day in Atlanta the speakers included, Laura Bush, Sarah Palin, Bill O’Reilly, Tom Hopkins, and Phil Town. 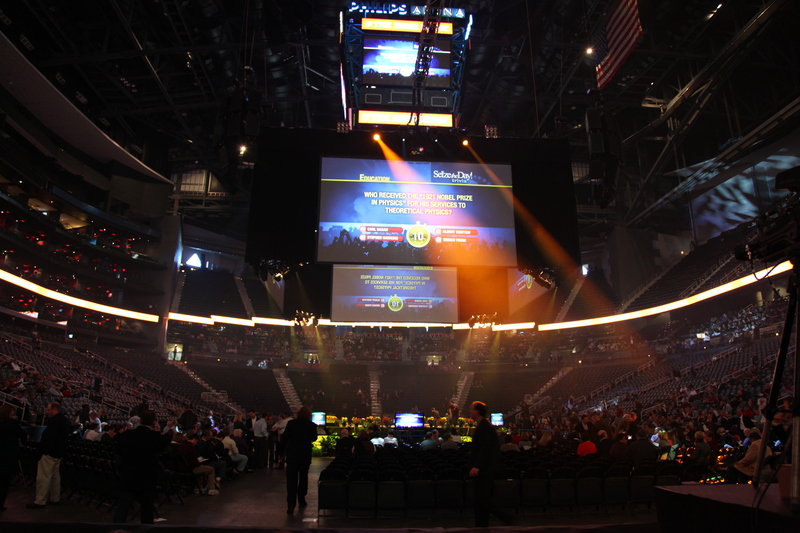 With a center stage built in the round in the 20,000+ seat arena and a 360 degree Meyer Sound PA, Christie Projectors provided the Imag over the stage for all the arena to see. The screens were so bright that even with the house lights off the room was still lit brightly enough for people to be able to read promotional material. This entry was posted on February 11, 2011 by resourcegroupav. It was filed under Audio, Broadcast Video, Uncategorized, Video and was tagged with Audio Visual, AV, Bill O'Reilly, Christie, HD, HD Screens, Meyer Sound, Panasonic switcher, Phil Town, Projectors, Resource Group, Sarah Palin, Tom Hopkins.